Since hundreds of years people have been experimenting and playing with their appearances. Therefore, make-up is a tradition with a long history, beginning with ancient Egypt and practised to this day. Nowadays, we may only guess what was the main reason for inventing make-up. Beauty standards are difficult to live up to, not everyone is born beautiful in the terms of actual beauty canon. From one point of view, it may be pointless to attempt to be “perfect”, as fashion is continuously changing. In addition, every single person has his/her own sense of beauty. Yet, on the other hand, why not play with your own looks. For some, make-up is a means of gaining confidence, and as far as the inside is supposed to matter the most, it is not always sufficient. Additionally, it is now very often portrayed as art, which means, can be a way to express yourself. As it is an art, make-up can be well-perceived or the opposite. Time and practise is what is takes to create a beautiful make-up and not everyone has that kind of time. The question then is set up, whether is it worth it to spend time on it almost every day. Even though it should not matter so much, the first impression is based on our physical appearances, including our face. Auditioning for a job or meeting a date are stressful situations, and unfortunately, require (or at least is it well seen) good looks. Which is why, maybe, it is worth a little effort if you want to boost your confidence. As technology is improved every day, there are many simpler ways to do make-up. And with the amazing invention the Internet is, it is also almost effortless to learn how to do make-up, whatever kind you would like to choose. As there are different strokes for different folks, make-up is an individual way to express yourself, to make your own impression. There are stronger make-ups, “natural” ones or even crazy, colourful ones. Whatever suits you. Not everyone has to be an expert, sometimes you just want to cover your imperfections, or just add up a little colour to your skin. The best thing then is to trust the “natural” make-up instructions, your best friend or a tutorial, which are many. 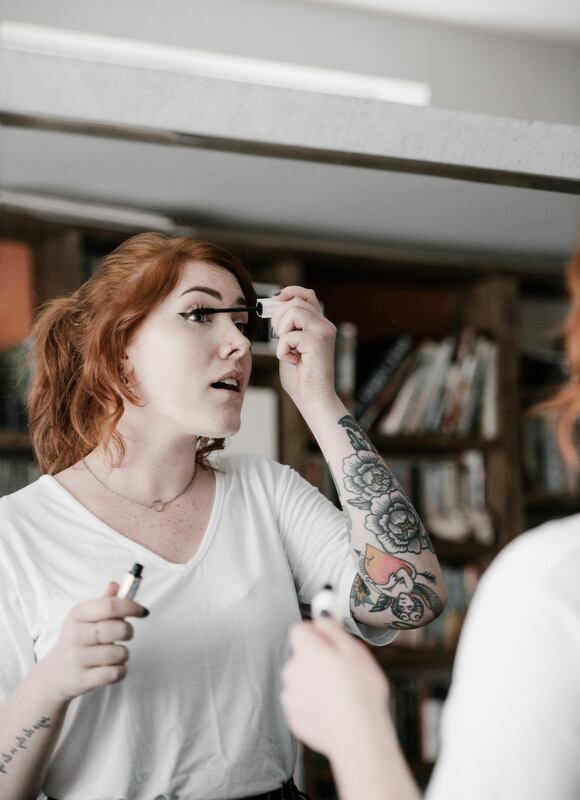 There are even videos that guide you through a multitude of choice of cosmetics and beauty products so you can choose the one that you like best, through the simplest ones (mascaras, eyeliners, base) to a little crazier, colourful ones (ombretto eyeshadow, blusher, body paint). So if you are a layperson in that field, no worries, the amazing world of make-up art will guide you.